WOODSTOCK—It was Roswell’s hardest-fought victory of the season on Friday as the Hornets maintained their perfect record this season with a 17-14 win over the Etowah Eagles. The Hornets looked ready to take their first loss of the season until the last minutes of the game, when a touchdown courtesy of senior running back Sheldon Evans gave the Hornets their three-point edge over the Eagles for the most dramatic win of the Hornets’ season so far. On defense, senior linebacker Sam DiRoberto and senior defensive end Koby Cumberlander dominated the field with game-making performances. DiRoberto caught two interceptions, blocked an Etowah field goal attempt, and tackled the ball carrier three times in the backfield for a combined loss of 17 yards. Cumberlander, meanwhile, kept the pressure on the Eagles’ quarterback throughout the game and made a single tackle for a loss of three yards. 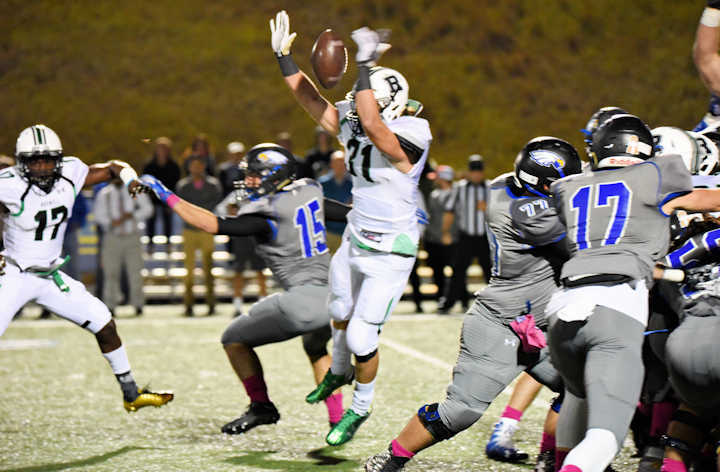 As they have done every game this year, the Roswell defense again held their opponents to 14 points or fewer, which has allowed Roswell to outscore their opponents this year 307-61 combined. 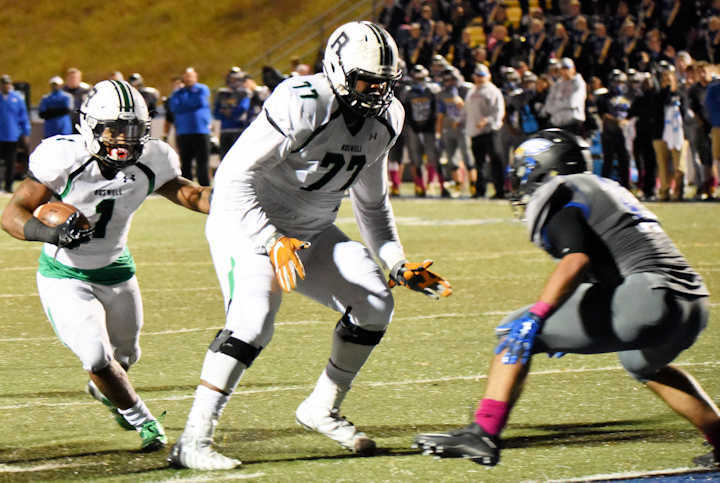 Roswell struggled to find its footing on offense early in the game. 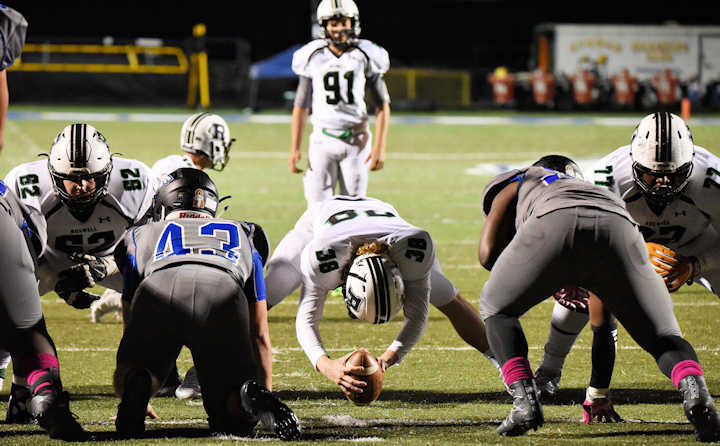 After a fumble on the opening play of scrimmage, the Hornets were forced to turn the ball over to Etowah, who were stopped short of a field goal thanks to a block from DiRoberto. 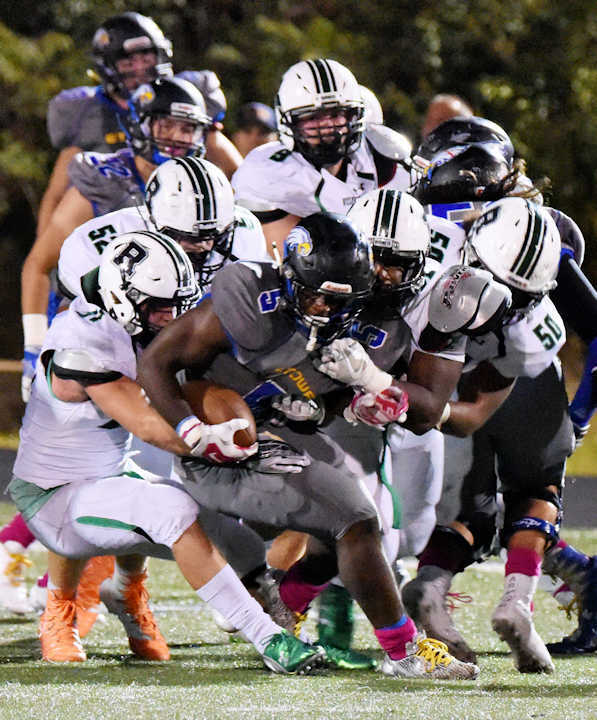 On Roswell’s first defensive series of the second quarter, senior outside linebacker Justin Ellis kept intense pressure on the Eagles’ quarterback, allowing DiRoberto to intercept the pass at Etowah’s 16-yard line. Sheldon Evans took the ball in for his first touchdown of the night on the next play. Etowah followed up with a touchdown of their own on their next possession. Another interception, this one from senior cornerback LeAnthony Williams, allowed Roswell to finish the half with a field goal. Senior wide receiver Corey Reed was a key contributor to the Hornets’ scoring drive, with a pair of receptions for a combined 39 yards. A little more than halfway through the third quarter, Etowah scored its second touchdown, which gave them a four-point advantage over the Hornets. 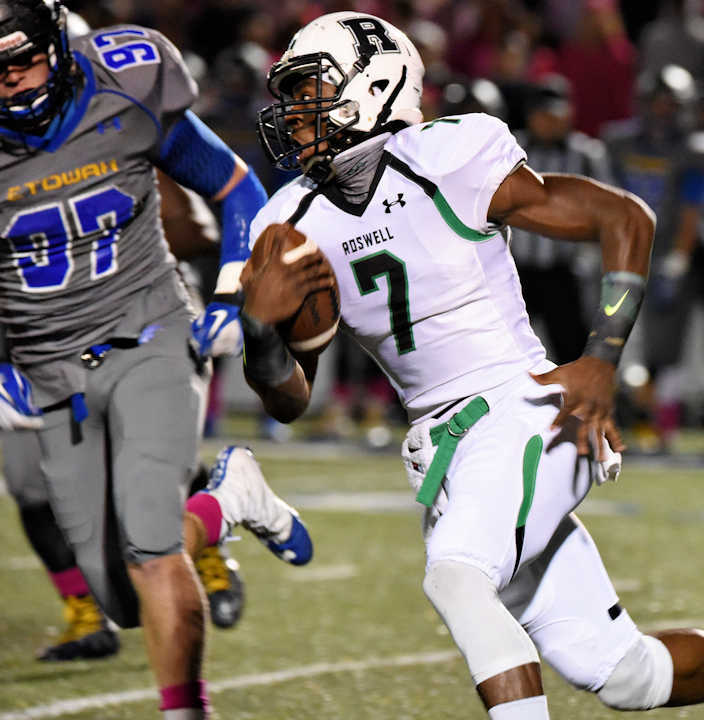 Heading into the fourth quarter, Roswell was behind their opponent for the first time in any game this season. Roswell’s 83-yard rally to the endzone capped off with a five-yard run by Evans pushed the Hornets ahead with only one minute and five seconds left on the game clock. Evans accounted for 30 yards of the drive, not counting a 43-yard run that would have been a touchdown were it not called back on a holding penalty. 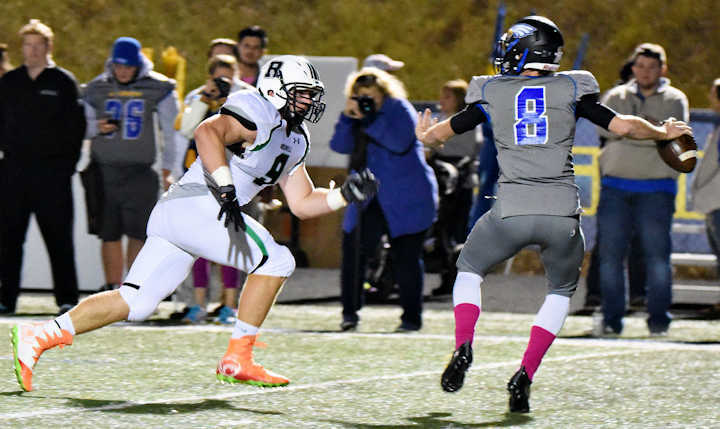 In the final seconds of the game, one final interception by Sam DiRoberto ensured there would be no Hail Mary victory for Etowah, and Roswell closed out the game with a well-earned victory. As the regular season comes to a close, the Hornets round out their schedule this year with two home games: Woodstock on Oct. 28 and Cherokee on Nov. 4.